The three most common problems you may run into with your garage door is a screeching sound, not going down all the way, or the remote-operated garage door won’t open. The A-Authentic Arizona Garage Door Repair blog shared DIY garage door repair tips to solve these three common issues, which are shared below. Garage doors are an investment that requires light maintenance to ensure their longevity and safety. 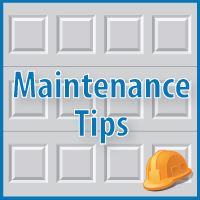 Maintenance can ensure your garage stays in good working order for its lifetime. In fact, you can even perform some of these maintenance tasks yourself. If you are not comfortable performing the tasks, have them performed by a trained service technician. Following is a garage door maintenance door checklist from Garage Door Care (perform in the corresponding order). 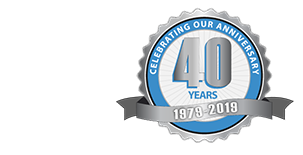 Did you know that your automatic garage door opener may not work during a power outage? If your power goes out, you may need to disconnect your automatic opener to manually open your garage door. Thanks to LiftMaster® for this great article! Has your garage turned into a parking spot for stuff and not your car? According to a Garage-Trends Survey, the average American stores $6,500 worth of gear in the garage. The garage tends to be the landing spot for all possessions that do not have a place within your house.